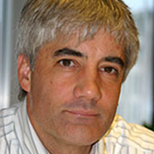 Stephen K. Ritter is a senior correspondent at Chemical & Engineering News. Topics he cover include inorganic and organometallic chemistry, process chemistry and chemical engineering, green chemistry, and sustainability science. He holds a Ph.D. in chemistry from Wake Forest University.